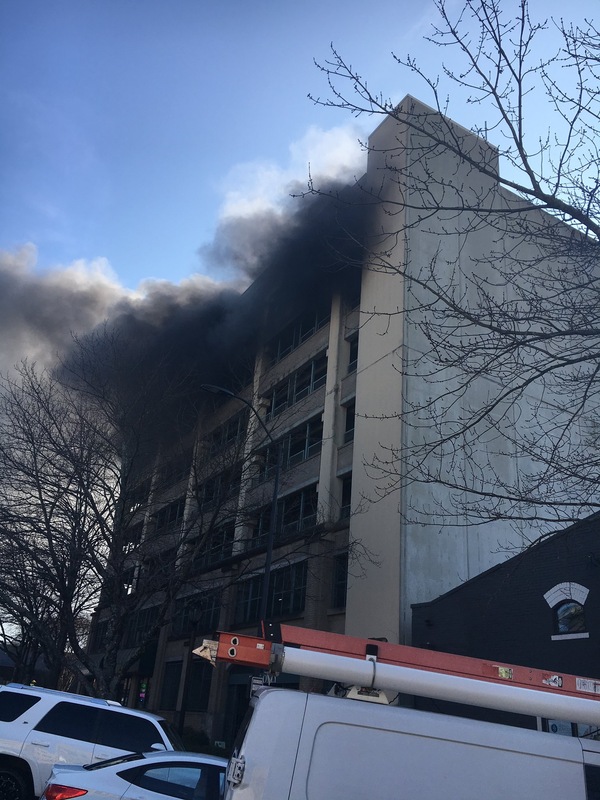 The charred remains of an SUV were towed out of the College Avenue parking deck Wednesday morning, but drivers will be allowed to park in the structure again soon. The fire started after a pregnant woman drove her vehicle into a wall on the fourth floor Tuesday afternoon. Athens-Clarke County Fire Department Battalion Chief Jeff Reno said no one was injured. People who had parked inside of the deck were allowed to move their cars Tuesday, but no one has been allowed inside since. Melissa Cousins said when she parked her car in the deck, like she does almost every day, she saw the car in flames and immediately called 911 and pulled the fire alarm. It’s not something you really expect when you get to work is for there to be cars on fire,” said Cousins. Cousins, who works at a jewelry store downtown, said that it was lucky that there wasn’t more damage. “This was as good as it could have gone because there were no cars on either side of hers, so it didn’t spread sideways because if it had, then it could have been sort of a domino effect, and the entire deck could have gone up in smoke,” Cousins said. Chief Reno told Grady Newsource that as soon as building inspectors deem the building to be safe, cars will be allowed back into the deck. 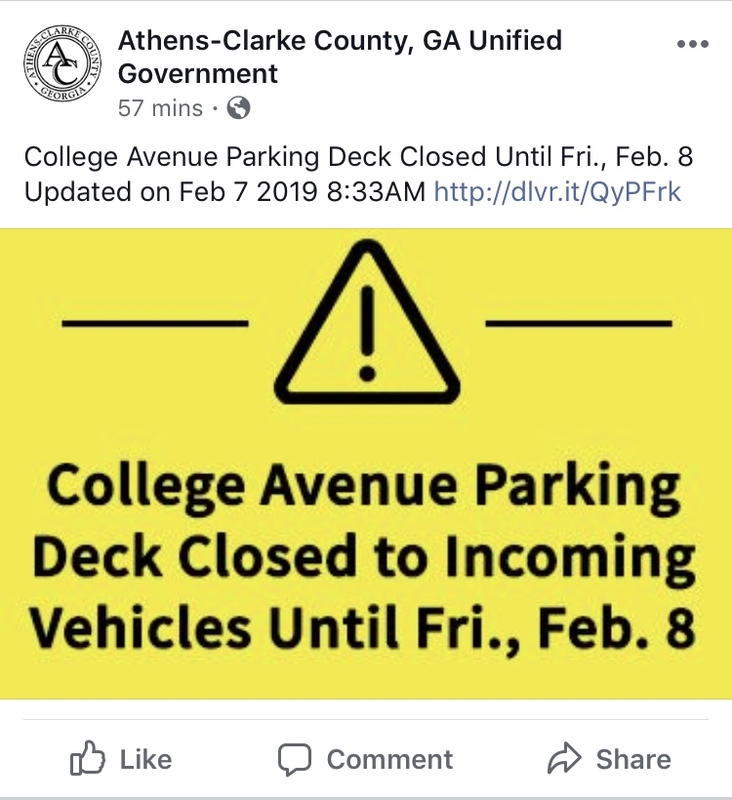 The latest update from Athens-Clarke County reported that the deck will reopen Feb. 8. Check back with Grady Newsource for the latest updates. Sarah Hammond is a senior majoring in journalism in the Grady College of Journalism and Mass Communication at the University of Georgia.